A team of Australian researchers has developed a method of producing a harder-than-diamond diamond in the lab. Up to the start of December, diamonds were the hardest natural material on Earth. Now that title has been taken, confusingly enough, also by a diamond — not a natural one, but one created in an Australian lab. Stacks upon stacks of this. Image credits H.K.D.H. Bhadeshia / Wikimedia. 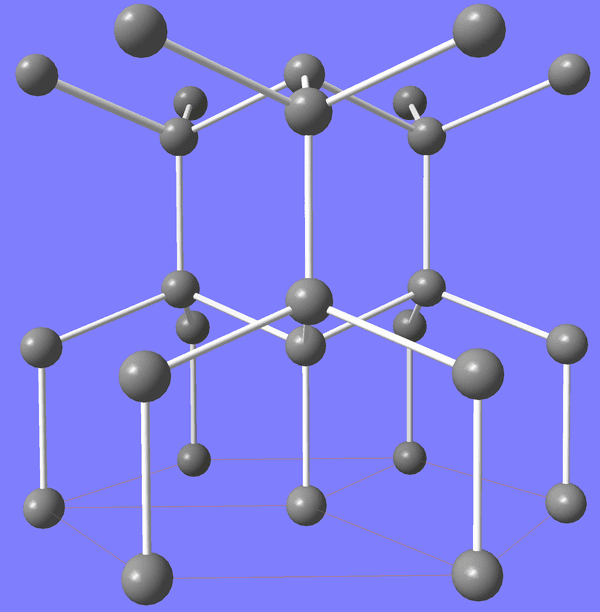 The cubic structure is mainly dictated by carbon’s valency of 4 (meaning each atom tries to tie to 4 others around it) and is extremely resistant. Lonsdaleite, however, has a hexagonal lattice that makes it up to 58% harder than regular diamond. It’s so strong, in fact, that one of the most immediate uses the team suggests for Lonsdaleite is in mining, where it can be used to cut through ultra-solid materials — such as other diamonds. The team created the new diamond by nanoengineering it from scratch — they basically built it piece by piece from amorphous carbon, a type of the element which doesn’t have a set form. “We’ve been able to make it at the nanoscale and this is exciting because often with these materials ‘smaller is stronger’,” said lead researcher Jodie Bradby from the Australian National University. Compare this to the cubic structure of regular diamond. Image credits Materialscientist / Wikimedia. They created the diamond by pressing amorphous carbon in a device called a diamond anvil. It’s made up of two opposing diamonds that are pressed into each other to recreate the huge lithologic pressures found at the depths where diamonds form inside Earth. The team is now conducting tests to determine exactly how hard their diamonds are compared to existing alternatives — although, if natural Lonsdaleite is anything to go off it’s probably pretty hard. The full paper “Nanocrystalline hexagonal diamond formed from glassy carbon” has been published in the journal Scientific Reports.